The DR900S-2CH is the world’s most advanced dual-camera dash cam and features stunning 4K UHD video, ultra-wide 162° viewing angle, Night Vision, broadcast quality video compression and BlackVue’s Over the Cloud technology – a suite of LIVE app-based features that includes Live View, Live Tracking, 2-Way Voice Communication & Emergency Notifications. Introducing the much anticipated BlackVue DR900S Series dash cam range, the world’s first 4K Ultra HD Cloud-connected dashboard camera – built expressly for the power-user who demands the finest possible video quality, day or night. Cloud-connectivity is a game-changing moment in the evolution of the dash cam. 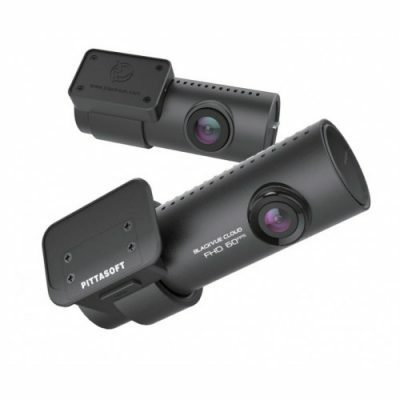 Along with 4K recording, the DR900S Series features HEVC compression, dual-band 2.4-5GHz Wi-Fi and BlackVue Over the Cloud connectivity, making it the ultimate car camera for protection when driving or while parked. The 4K Ultra High Definition resolution contains exactly four times as many pixels as Full HD, 3840 pixels Å~ 2160 lines to be exact, equivalent to 8.3 million pixels. For a dashboard camera, this can mean the difference between an unusable pixelated blur and a readable licence plate, especially at speed or in low light conditions. To take even greater advantage of the extra resolution, the DR900S Series packs a massive ultra-wide 162 degree lens for incredible clarity and detail from edge-to-edge. The Blackvue DR900S 2CH performs exceptionally well at night and in dark environments, while maintaining a low level of noise. In daylight, the ability to “freeze” the action is nothing short of spectacular – thanks to a high shutter speed, so users can clearly see the details of vehicles even in adjacent lanes at the edges of the screen. When handling 4K footage, storage space is always going to be a primary concern, fortunately the DR900S Series incorporates the best in video compression technology: HEVC (High Efficiency Video Coding), also referred to as H.265, is the leading standard in broadcasting and streaming of 4K video content. This major advance allows the Blackvue DR900S 1CH Series to store as much 4K footage on a 16GB microSD card as a standard Full HD dash cam would, thus avoiding the needless expense of purchasing additional high capacity memory cards. But it’s not only about the quality and resolution of the image, the DR900S range features GPS logging, Wi-Fi, Cloud connectivity and impact and motion detection – all in a premium quality, discreet and compact design that is BlackVue’s signature. BlackVue’s unique appdriven Over The Cloud platform is an industry first, a suite of realtime features that let you connect to the Blackvue DR900S 1CH anytime, from anywhere in the world. Enjoy remote Live View and Push Notifications to your phone. Back-up important videos to the free Cloud storage. Play and download videos from your dash cam’s memory or the Cloud from anywhere. Enjoy Two-way Voice Communication with the driver via the BlackVue app through the BlackVue’s integrated speaker and mic. Whether you are driving or away from your vehicle in parking mode, you can rest assured that your BlackVue DR900S will capture all the critical details. parallel to the full-sized ones. The sub-streams can be downloaded in record time or used for quick preview when browsing the dash cam’s videos via the BlackVue App. These enhancements benefit the user. DR900S-2CH shoots high quality video footage at 4K UHD resolution. The 4K Ultra High Definition resolution contains exactly four times as many pixels as Full HD, 3840 pixels × 2160 lines to be exact, equivalent to 8.3 million pixels. For a dashboard camera, this can mean the difference between an unusable pixelated blur and a readable licence plate, especially at speed or in low light conditions, but this can depend on the type of vehicle head lights as well as weather conditions on how this will show on the video recording. 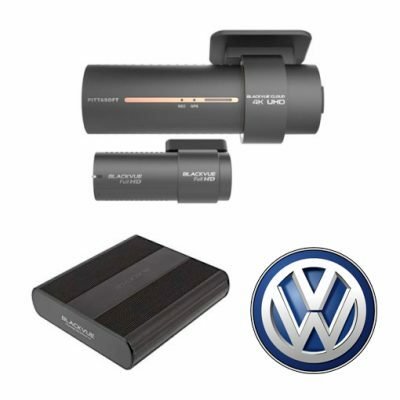 BlackVue Over the Cloud combines state-of-the-art dashcam technology with a suite of innovative ‘connected’ features that take the BlackVue user experience to new levels. Over the Cloud unlocks the true potential of your dashcam, remotely connecting you with your vehicle and providing additional functionality including Live View, Video Backup, Realtime Tracking and Emergency Alarms. Ultra wide 162˚ field of view captures super clear UHD quality video whenever incidents or accidents happen. DR900S-2CH ships with a 16GB microSD™ card but supports cards of up to 128GB, allowing the user increased recording time if required. Dashcams record in a loop, overwriting older files when the microSD™ card memory is full. The DR900S-2CH can prevent Event files (triggered manually or by impacts) being overwritten. Up to 50 files can be protected in this way. By choosing to allow new Event files to overwrite old Event files, you will always keep the latest 50 clips.